India's Manika Batra and Mouma Das moved to the quarter finals of the women's doubles at the Liebherr 2017 World Championship as they received a walkover from their opponents Li Jie (NED) and Li Qian (POL). Due to an upset stomach, Li Qian could not make it to the arena. 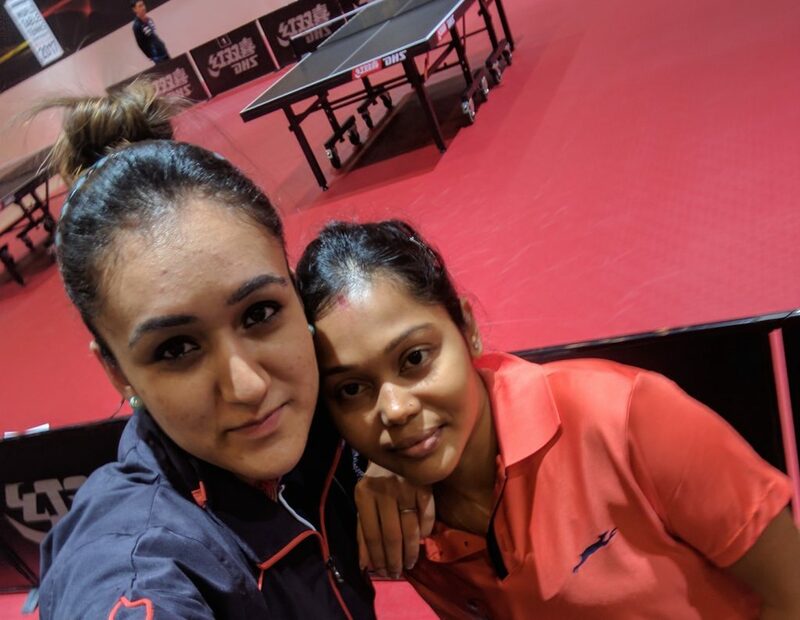 Mouma Das and Manika Batra thus became the first fully-Indian partnership to reach the quarter finals in the history of the World Championships. There is one Indian who made it to the quarter-finals in the past, but it was not a purely Indian partnership. Prisca Rosario of India made it to the quarter finals of the 1956 World Championship in Tokyo partnering USA’s Robinson. Additionally, Krishna Nagaraj reached the quarterfinal in men’s singles in the same championships. No men’s doubles pair has ever made it to the quarter finals stage. Mouma Das and Manika Batra thus created history today in Düsseldorf, becoming the first fully-Indian partnership to make it to that level at the World Championships. The Indians will now compete against 2015 World Championships silver medalists Ding Ning and Liu Shiwen. 21 year-old Manika Batra, who represented India at the 2016 Rio Olympic Games was delighted. On the other side, Lily Zhang and Yu Wue have kept USA’s dream run going at the Liebherr 2017 World Table Tennis Championships going with a 4-1 win over Zhang Mo (CAN) and Sofia Polcanova (AUT). The pair had a hard time closing out the match, needing seven match points in the final game to secure the win. And while Yu Wue says she wasn’t nervous at all, Lily Zhang wasn’t feeling quite as calm. With the number one seeds knocked out in the first round, Singapore’s Feng Tianwei and Yu Mengyu now occupy that place in the draw after defeating Alex Galic (SLO) and Rache Moret (SUI) 4-1 (7-11,10-12,11-7,7-11,5-11).